A prominent media house had recently published a report detailing the pay packets of all the leading directors in the Tamil industry. According to them, directors Shankar and Murugadoss lead the pack with salaries ranging in crores and crores of money. One of the leading directors in the industry, Gautham Menon has taken major offense to this report and has questioned the validity and authenticity of this report. He has spoken his heart out through his tweets and was specifically miffed by recent reports regarding the personal life of director Bala. He requested the media in no uncertain words to leave the directors alone and not focus on their personal lives. Dhanush's co-star performs for women's uprising! Nagarjuna and Nayantara's double release ! Another classic remake on the cards? Gautham Karthik Is The Nani Of Tamil? Will Gautham Menon And Suriya Outperform Their Kaakha Kaakha? 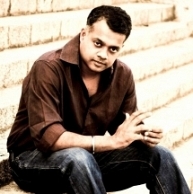 Gautham Menon Says He's Being Harassed !